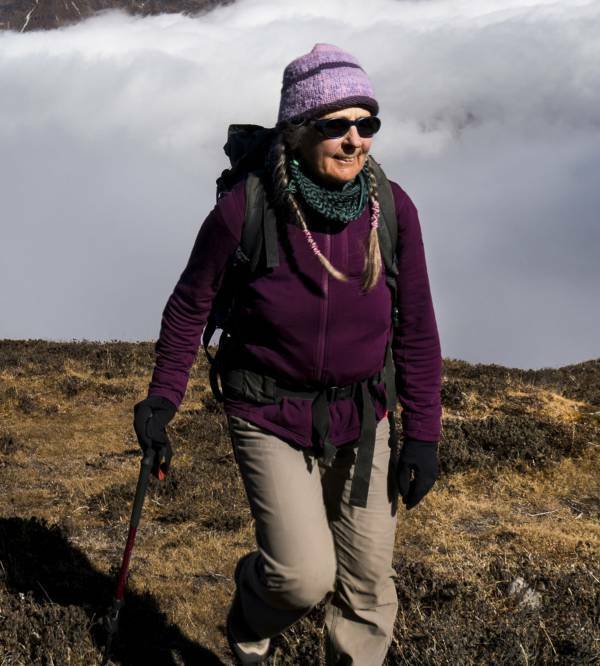 Baiba Morrow has spent more than 30 years searching out mountain experiences as a peripatetic communicator through words and images, both still and moving. In partnership with her husband, Pat, she has explored remote, wild places on all seven continents while on assignments and expeditions. Together, they have gained widespread recognition for their documentation of mountain cultures and adventures, and in 2017, they were awarded the Sir Christopher Ondaatje Medal for Exploration from the Royal Canadian Geographical Society. The mountains are her home, her inspiration and her muse.